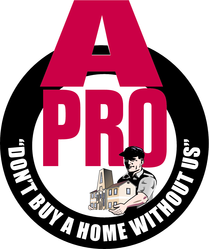 Contact Tom Armstrong today for an A-Pro Inspection. You can contact him by email Tom@a-pro.net or by phone 513-909-APRO (2776). Tom serves on our REALTOR/Affiliate Committee and supports many of our events through sponsorship. Thank you for serving and helping make our events possible, Tom!